If you're looking for a vegan and egg-free matzo ball soup recipe, here's a great one to try. 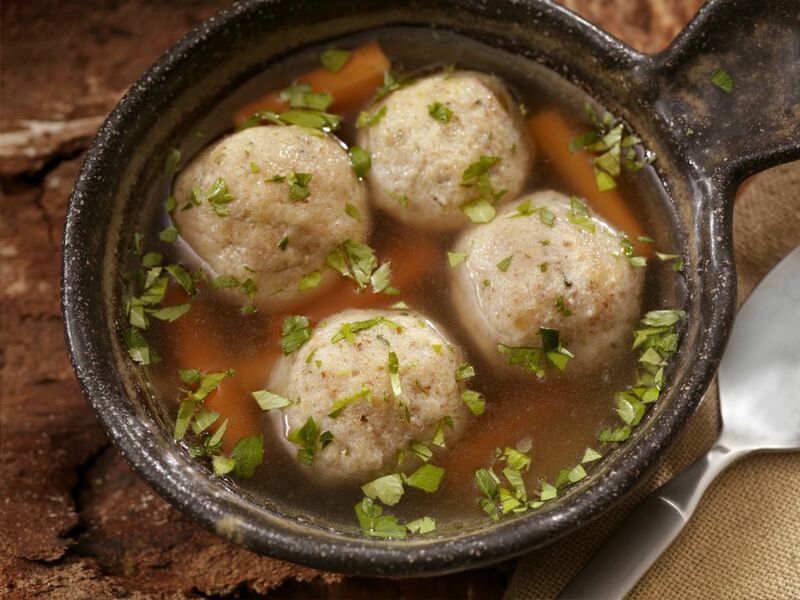 Although this matzo ball soup is kosher for Passover, it may not be suitable for Ashkenazic Jews because of the tofu, but will be suitable for most others on a less strict vegetarian or vegan Passover diet. Recipe courtesy of Ener-G. In a medium bowl, mix tofu and oil together until smooth. Set aside. Combine remaining ingredients (except vegetable broth) in a mixing bowl. On low speed, blend in the tofu mixture for 1 minute. Scrape sides and mix another 3 minutes at medium speed. Let it sit for 5 minutes. In a saucepan over medium or medium-low heat, place matzah ball mixture in broth by the tablespoonfuls. Let the broth boil for 35 minutes, covered.